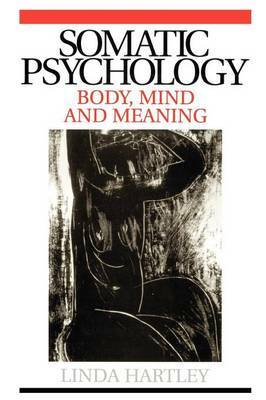 This book brings attention to the interface of psychotherapy and psychological theory with the somatic practices of bodywork and movement therapy. To offer a client only psychotherapy, or only bodywork may subtly or directly reinforce the body--mind split from which so many of us suffer; in some cases this will be a reinforcement of a dilemma central to the clienta s problems. Hartley views body psychotherapy and transpersonal psychotherapy as building bridges between the once separated processes of psyche, soma, and spirit. Today the emerging field of somatic psychology is also contributing to the expanded field of psychology a subtle differentiation of bodymind process, developed through almost a century and a half of research and practice in somatic therapy and education. Originally trained as a dancer, movement therapist and bodywork practitioner, Hartley continues to use movement and somatic process as an important foundation for her own work. Training in Dance Movement Therapy, the transpersonal psychotherapy of Psychosynthesis, and Process--Oriented Psychology have further deepened Hartleya s awareness of the relationships between psyche, soma and spirit, and the need to respond to all levels of experience in therapeutic work.